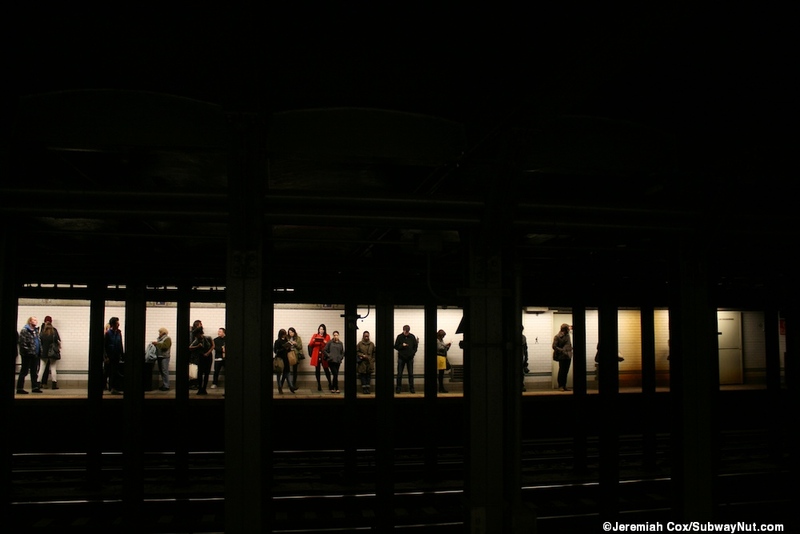 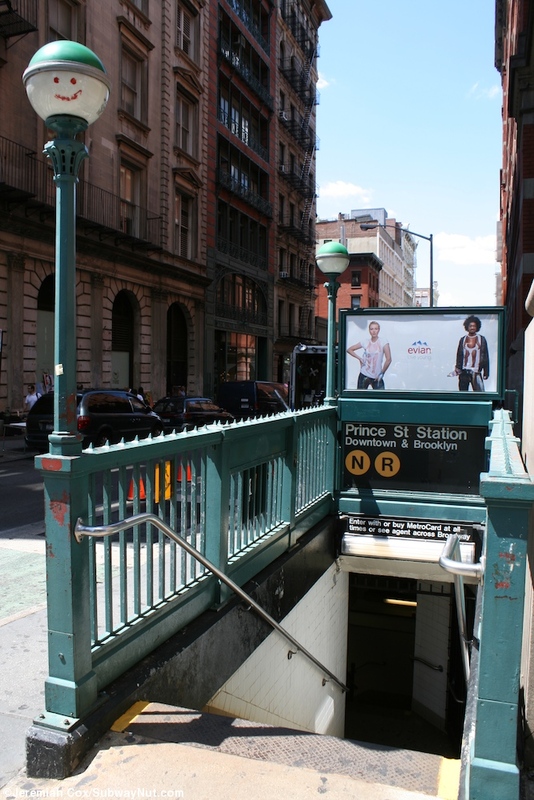 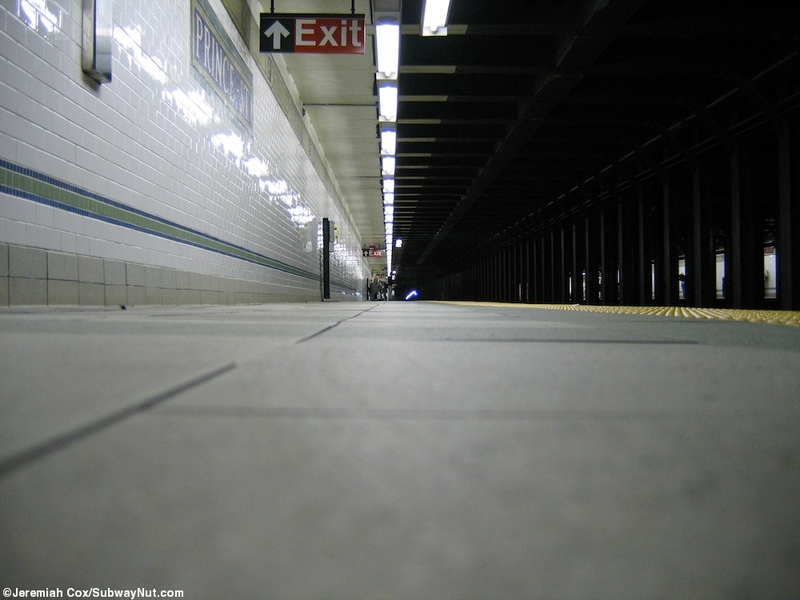 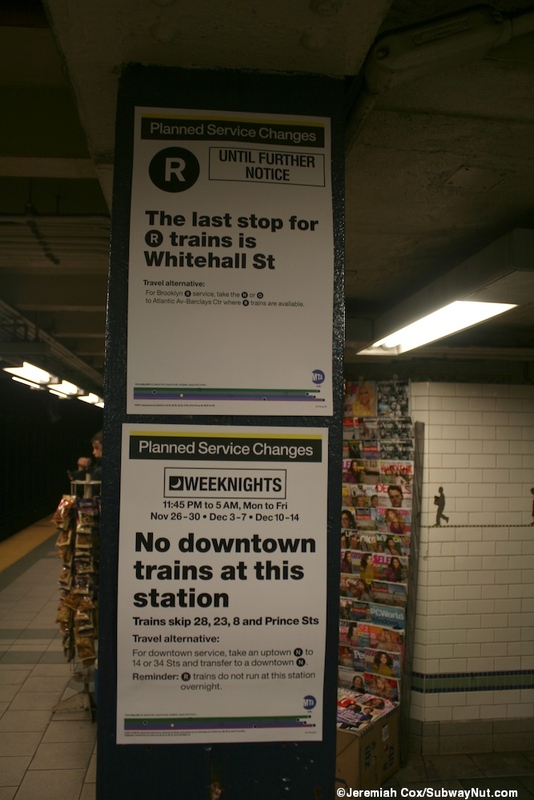 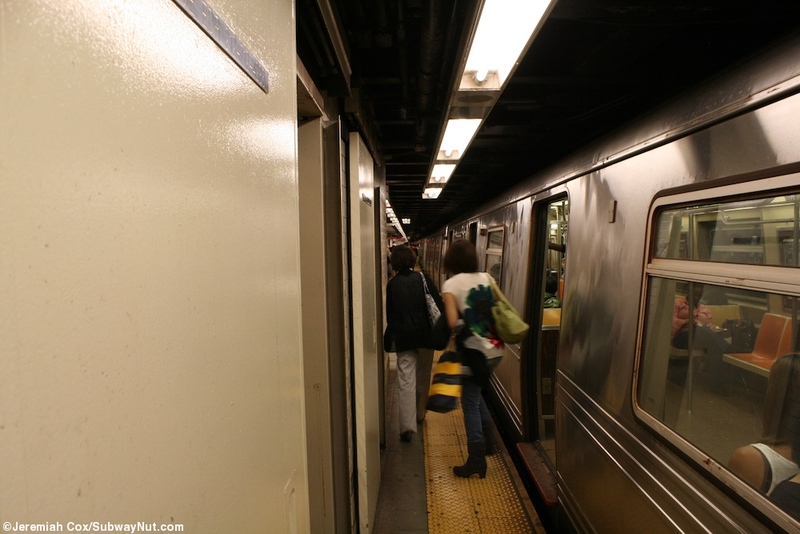 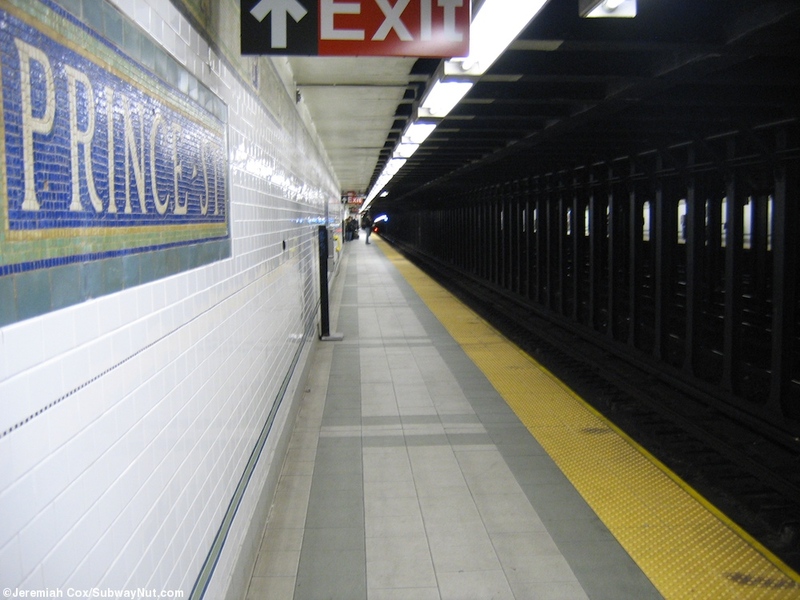 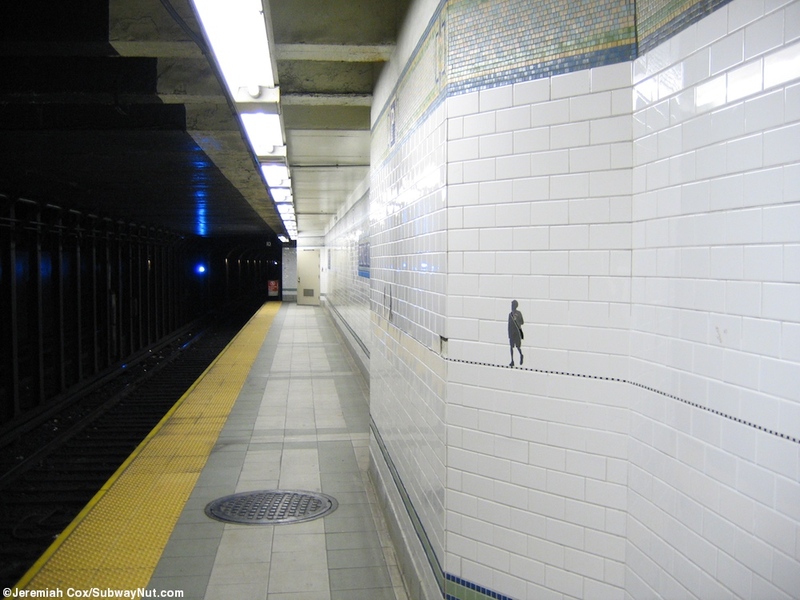 Prince Street is a BMT Broadway Line Local Stop with two side platforms for the four track line and no free crossover or under. 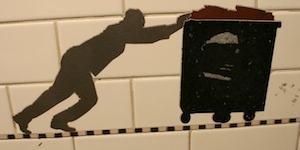 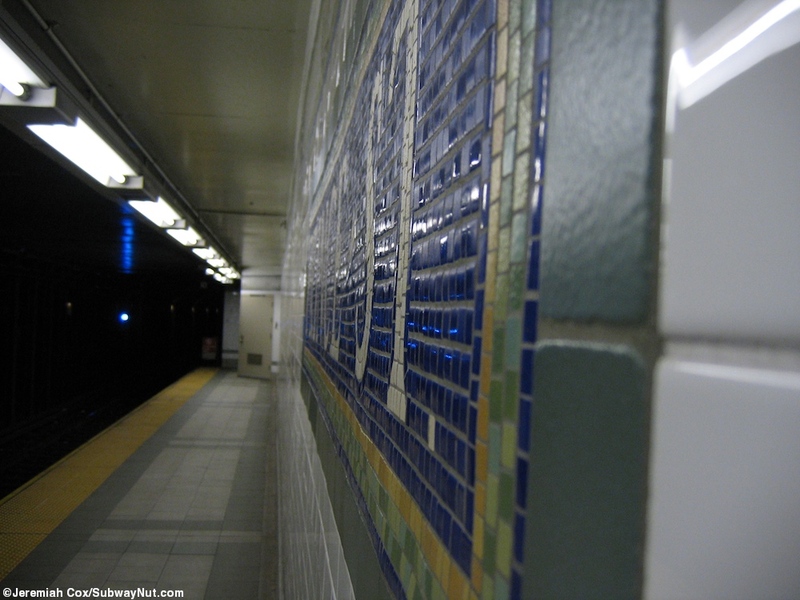 The stop has two narrow column-less side platforms (that get even narrow a the ends) that were renovated again in the early 2000s restoring the teens-era tiling of a trimline consisting of shades of green for the solid sections with a light blue boarder and a darker blue background for Ps at regular intervals. 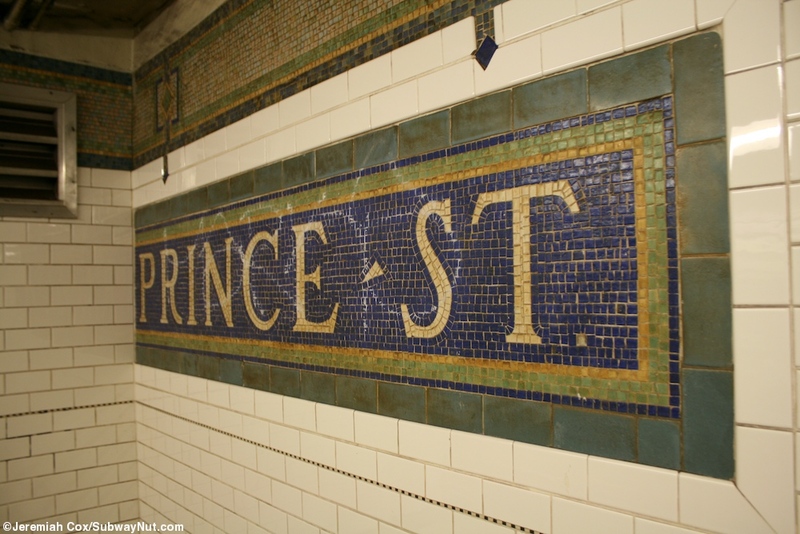 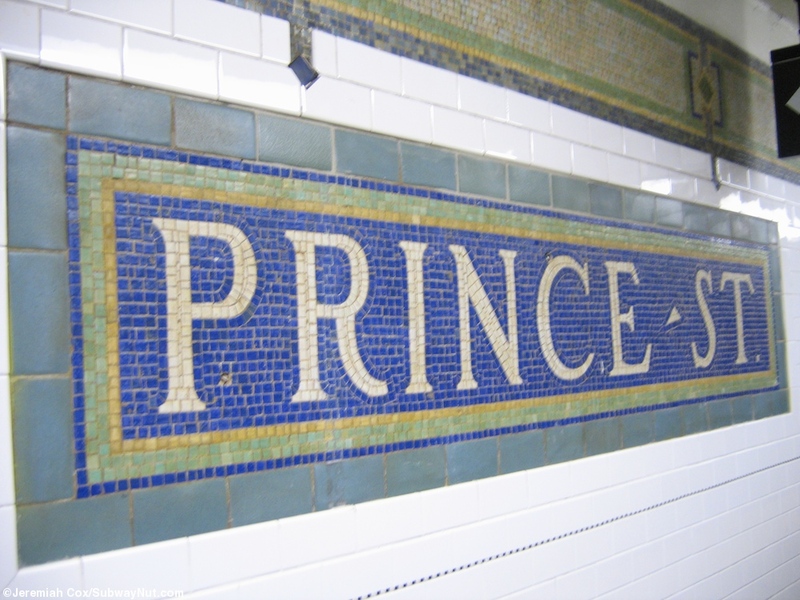 Name tablets say Prince St off white on a blue background with shades of gold, green, then blue forming the boarders. 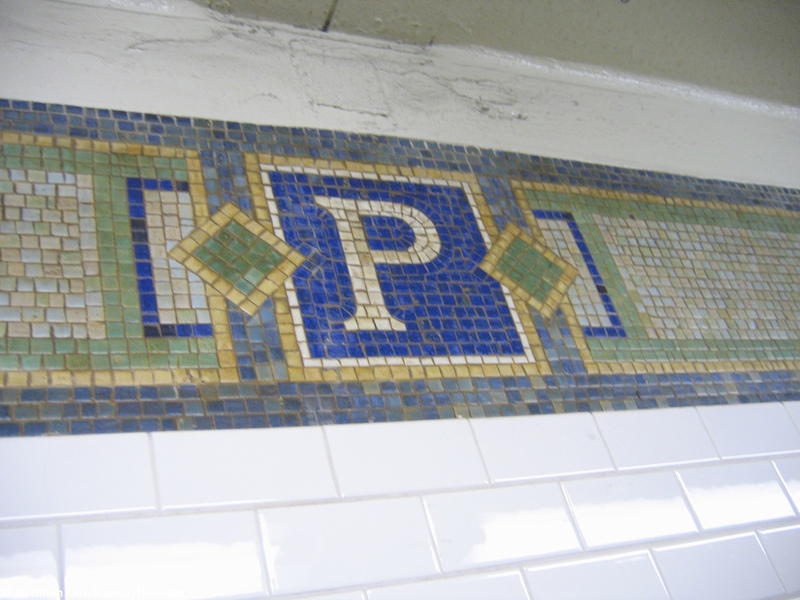 This was first covered over with the 1950s era cinderblock type walls. 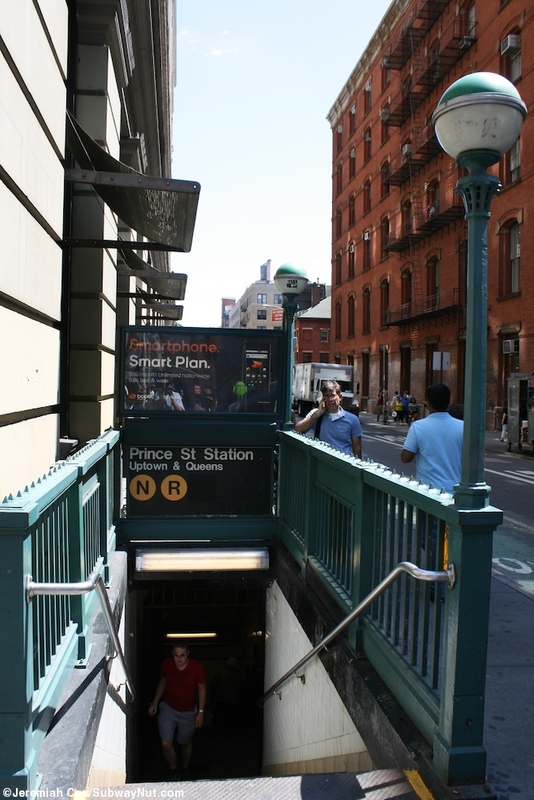 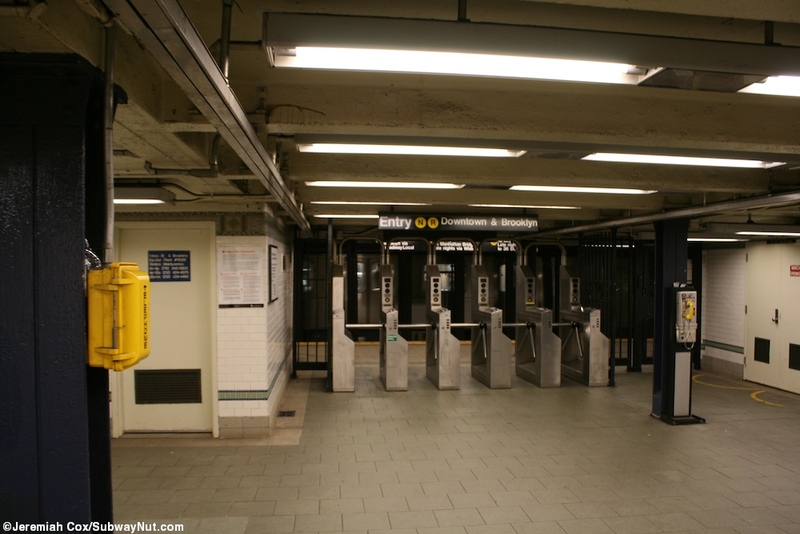 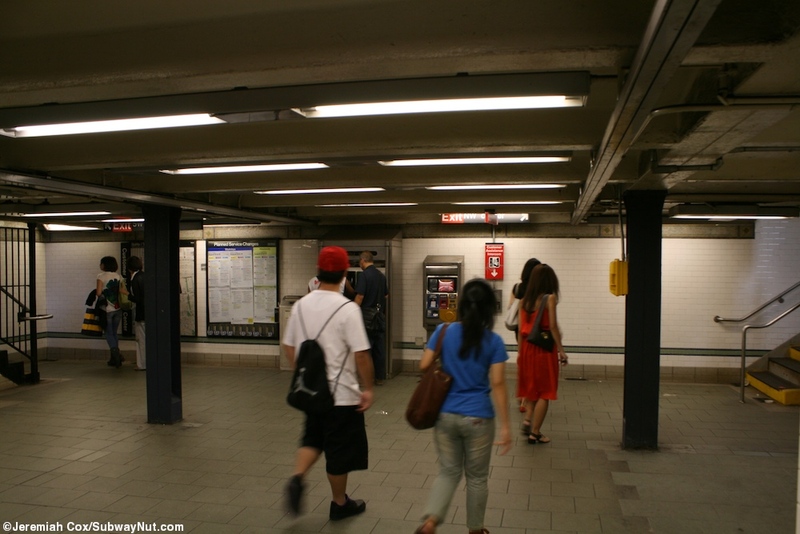 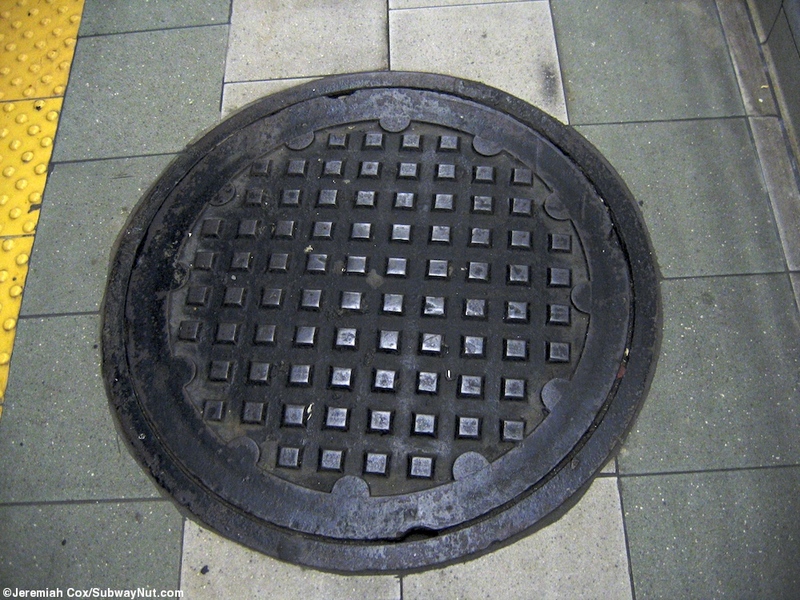 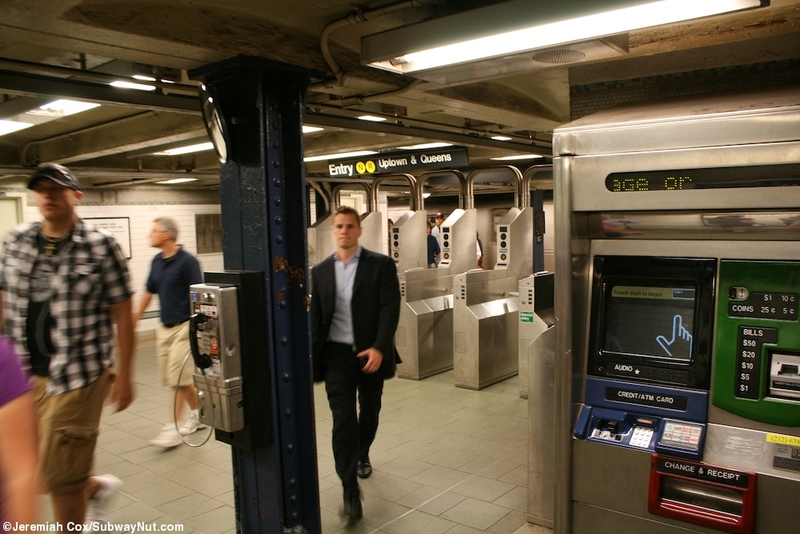 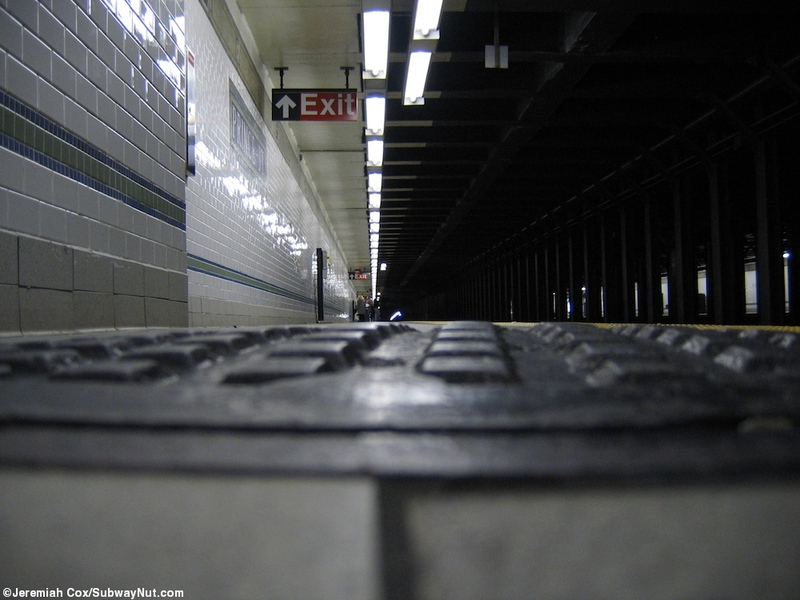 There is one on platform exit for each direction towards the middle both sides have a bank of turnstiles, the uptown platform has the stops remaining token booth, the downtown one has been removed, and each leads out to two street stairs on its respective side of Broadway at Prince Street giving all four corners of the intersection one.